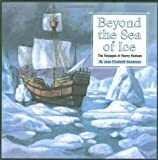 Biography, timeline and voyages of 17th century mariner, explorer and adventurer,henry hudson and his search for the Northeast Passage and Northwest Passage. Extractions: explorer and adventurer Part 1 of 6 This is a collection of data about, and a chronology of the life and voyages of English explorer, mariner and adventurer, Henry Hudson, as well as some additional notes on his times, contemporaries and his crew. it was compiled from numerous sources by Ian Chadwick, 1997-2001. For a text-only version of these pages, click here Not much is known for certain about Henry Hudson's life or any of his voyages before 1607. He must have learned his craft and skills by travelling with contemporary seafarers, probably British mariners (possibly even sailing with John Davis on one his voyages to the Arctic) because by the time of his first recorded voyage, he was a captain. His contributions to the exploration of the world as it was then known have generally been understated by modern sources, and overshadowed by greater exploits of his contemporaries. No contemporary painting or portrait of Henry Hudson has ever been found and even the oldest we have were painted after his death by people who probably based their artwork solely on a description. Click here for a family tree Hudson was the architect of his own fateful tragedy that led to the mutiny in 1611. Obsessed by the vision of a northwest passage, he often ignored everything around him in his quest to find it. That included his crew. Almost every voyage indicated some form of crew uprising or mutiny. Hudson appeared weak and vacillated between appeasement and force when dealing with crew, seldom disciplining them when or as required, often showing favouritism to some members at the expense of the others (and of his own authority). When he did attempt to exercise his authority, it came out in petty, small ways and created a greater divide between himself and his crew. His attempt to show leniency to mutinous crew in Ungava Bay only led to further abuses and ultimately his demise. He appeared unable to manage his men in times of stress. Extractions: curriculum guide Henry Hudson and Early Hudson River History Henry Hudson was already a famous explorer of Arctic waters when in 1608 he was hired by the Dutch East India Company to find a Northeast, all-water route to Asia. The Dutch East India Company had a monopoly on trade with the Orient and which wanted to shorten the lengthy and expensive voyage around the Cape of Good Hope. They provided him with an 80-ton ship, the Half Moon, and a crew consisting of 20 Dutch and English sailors. The original Half Moon was commissioned on March 25, 1609, for the Dutch East India Company. She was a ship of exploration designed to take a crew of twenty into unknown and uncharted waters. The Half Moon sailed out of Amsterdam on April 4 or 6, 1609 heading northeast along the coast of Norway. After encountering ice and cold off the coast of Norway, Hudson turned west and headed for warmer weather. Hudson first landed on the coast of Maine where members of the crew went ashore and cut timber to replace the mast of the Half Moon. henry hudson (15651611) was an English explorer and navigator who sailedto northern North America four times. henry hudson explorer. 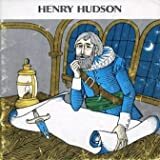 Extractions: Henry Hudson: Explorer Henry Hudson (1565-1611) was an English explorer and navigator who explored parts of the Arctic Ocean and northeastern North America. The Hudson River, Hudson Strait, and Hudson Bay are named for Hudson. Little is known about Hudson's early life. Hudson was hired by the Muscovy Company in 1607, to find a waterway from Europe to Asia. Hudson made two trips (in 1607 and 1608), but failed to find a route to China. In 1607, he sailed to Spitzbergen (an island north of Scandinavia in the Arctic Ocean) and discovered Jan Mayen Island (a tiny island off eastern Greenland). In 1608, he sailed to Novaya Zemlya (an island north of Russia in the Arctic Ocean). Hudson was then hired by the Dutch East India Company in 1609, to try to find the Northwest Passage farther south. On this trip in a ship called the Half Moon, Hudson sailed to Nova Scotia, and then sailed south. He found what is now called the Hudson River. Hudson is credited with discovering the location which is now New York City (although da Verrazzano had previously sailed by the area in 1524). Hudson sailed into New York's harbor on September 3, 1609 and noted what an excellent harbor it was. Hudson sailed up the river about 150 miles (240 km) and noted the abundance of rich land, but realized that this was not a waterway to India. His reports resulted in many Dutch settlements in the area. Short overview of hudson's years as an explorer for the Netherlands. Extractions: FRtR Essays The USA and the Netherlands Henry Hudson Index Previous page Next page In the summer of 1609 the ship the "Halve Maan" (Half Moon) sailing under Captain Henry Hudson under the flag of the Dutch East India Company searched in vain for a western passage to the East Indies. Using the maps of the Amsterdam cartographer Jodocus Hondius he had been searching for a Northern route through the ice. He did not search very hard it seems, for he believed in the theory that there was a passage through the continent itself. Since the Venetian navigator Giovanni da Verrazano had seen New York Bay - well, what was later to be called New York Bay - in the middle of the 16th century a number of scientists believed that that bay offered the passage through the continent. After giving up searching for the Norhtern passage Hudson decided to try his luck here. On the first of July 1609 he reached Newfoundland, from where he followed the coast southwards until he reached the bay in the beginning of September. The next day the Halve Maan sailed through the Narrows and in the afternoon sailed upstream on a river which would be named after the captain, the Hudson. After having sailed up as far as where later Albany was to be and seeing that the river was a river and not the desired passage to the Indies, Hudson gave up, completely disappointed. He did not even bother to sail to back Amsterdam, but went for England, which he reached in November. There another captain took over to bring the ship back to Amsterdam. But the Halve Maan was not a lucky ship: it perished later in the Indian Ocean on a trip to the East Indies via the traditional route around the Cape. hudson, henry henry hudson (15651611) was an English explorer and navigatorwho explored parts of the Arctic Ocean and northeastern North America. Extractions: Hannu was an ancient Egyptian explorer; he made the first recorded exploring expedition. Hennu is said to have sailed down the Red Sea to explore the southeastern areas of the Arabian peninsula (called Punt) around 2750 B.C (during Egypt's 2nd dynasty). He sailed to what is now part of eastern Ethiopia and Somalia. He returned to Egypt with treasures, including myrrh (a spice) and precious metals. Hannu wrote of his exploration in stone. (Hannu is sometimes called Hennu, which is also the name of a sacred boat of Egyptian gods). HARTOG, DIRCK Dirck Hartog was a Dutch explorer who was the first European to chart of the western coast of Australia. Hartog sailed from Amsterdam on the ship called Eendracht. He traveled around the Cape of Good Hope to Java, and then sailed on to western Australia. He landed in 1616 on a small island now named for him (Dirk Hartog Island). To mark his landfall, Hartog nailed an inscribed pewter plate (which noted details of his exploration and visit) to a post on the north end of the island; this area is now called Cape Inscription. Almost a century later (in 1696), the Dutch explorer Willem de Vlamingh landed on Dirk Hartogs Island. He found the commemorative plate, replaced it with a new inscribed plate, and brought Hartog's original plate to Amsterdam. Hartog's historic plate is now in the Rijksmuseum, Amsterdam. explorer henry hudson dreamed that his name and deeds would be carved onthe tablets of the sea. Would he succeed? (American History Play). Extractions: Hudson, Henry Hudson, Henry, fl. , English navigator and explorer. He was hired (1607) by the English Muscovy Company to find the Northeast Passage to Asia. He failed, and another attempt (1608) to find a new route was also fruitless. Engaged (1609) for the same purpose by the Dutch East India Company, he sailed in the Half Moon to Spitsbergen, where extreme ice and cold brought his crew near mutiny. Hudson, determined not to lose his reputation as an explorer, disregarded his instructions and sailed westward hoping to find the Northwest Passage . He entered Chesapeake Bay, Delaware Bay, and later New York Bay. He was the first European to ascend (1609) the Hudson River (named for him), nearly to present-day Albany. His voyage gave the Dutch their claim to the region. His fourth expedition (1610), financed by English adventurers, started from England. Again he sailed westward, hoping to find the Northwest Passage. Between Greenland and Labrador he entered Hudson Strait and by it reached Hudson Bay. After weeks of exploration, he was forced by ice to winter there. By the next summer (1611) his starved and diseased crew mutinied and set Hudson, with his son and seven men, adrift in a small boat, without food or water. He was never seen again. His discoveries, however, gave England its claim to the Hudson Bay region. hudson, henry, fl. 160711, English navigator and explorer. He was hired (1607)by the English Muscovy Company to find the Northeast Passage to Asia. 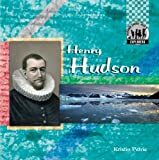 henry hudson, The life and times of henry hudson, explorer and Adventurer Not muchis known for certain about hudson s life or any of his voyages before 1607.
henry hudson explorer. Not much PageWise, Inc. 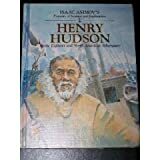 Your are here PagewiseHome History HistoryPeople henry hudson - explorer. Extractions: Henry Hudson and Exploration of the Hudson River Additional Half Moon Pictures The original Half Moon (Halve Maen) was commissioned on March 25, 1609, for the Dutch East India Company. She was a ship of exploration and the spaceship of her age, designed to take a crew of twenty into unknown and uncharted waters. Her captain, Henry Hudson, was already a famous explorer of Arctic waters when in 1608 he was hired by the Dutch East India Company to find a Northeast, all-water route to Asia. But only a month out of port, the Dutch/English crew of his ship was disheartened after their passage north of Norway was blocked by Arctic ice floe. Many talked of mutiny. To celebrate the Dutch role in exploring and colonizing America, a replica of Henry Hudson's Half Moon was built at the Snow Dock in Albany, New York, and launched in June of 1989. The Half Moon sails today as a living history exhibit - her cabins and decks furnished authentically with sea chests, weapons, tools, navigational instruments, and trade goods - taking visitors back to an exciting age when intrepid European explorers competed to open new routes to trade with the East. henry hudson has been immortalized by the Bay, Strait and River which carry his namein pride. He was a strong and courageous man, as well as a great explorer. Extractions: In the spring of 1611, Henry Hudson, his son John, and seven loyal crewmen were set adrift in a tiny sail boat and were never seen again. Henry Hudson was born and raised in England. However, his date of birth is unknown. When Henry was very young, he heard about the search for the passage to the Far East and his interest was piqued. He started sailing as a cabin boy at the age of sixteen. After seven years Henry was promoted to the fine position of an apprentice. By 1607, Henry Hudson had become an experienced man of the sea. At this time an English firm, named the Muscovy Company, hired him to seek and find the passage to Asia which was so sought after. Henry began his first of four major journeys as the captain of a ship called the Hopewell. His crew consisted of ten men and his son John. Using the maps of the Amsterdam cartographer Jodocus Hondius, Henry traveled north east along the shore line of Greenland and made it to Spitsbergen. Henry was the first explorer to ever sail this far North. He reported that there were many whales in these northern waters which made it possible later on for the Dutch and English to go whaling near Spitsbergen. Unfortunately, because of huge ice floes, Henry had to return to England. The very next year, 1608, Henry tried once again to find a northern passage, however the ice was impossible for the Hopewell to travel through. In 1607 and 1608, British explorer henry hudson led voyages to find a northeastpassage across the Arctic Ocean. Blocked by icebergs, both voyages failed. Extractions: Henry Hudson round 1600, European trading companies wondered if there was a faster way to sail to India and Asia than the way they already knew. If they could find a northeastern shortcut, they could beat the competition, and also cut out the middlemen who controlled most of the trade on the existing route. In 1607 and 1608, British explorer Henry Hudson led voyages to find a "northeast passage" across the Arctic Ocean. Blocked by icebergs, both voyages failed. Since no English company would fund a two-time failure, Hudson persuaded the Dutch East India Company (Vereenigde Oostindische Compagnie) to back his third voyage. 1.3 MB In 1609, Hudson left Amsterdam onboard the ship Halve Maen (Half Moon) to try again to find the "northeast passage." The cold and other conditions were so horrible that the crew threatened mutiny unless Hudson agreed to sail southward. The Half Moon crossed the Atlantic and arrived in Newfoundland, Canada. Hudson then sailed down the coast searching for a northwest passage across the North American continent. When he arrived in what is now New York Harbor, he sailed up the Hudson River, hoping it would lead to the Pacific Ocean. But he soon realized that, yet again, he had failed to find the northeast passage, and he turned back.